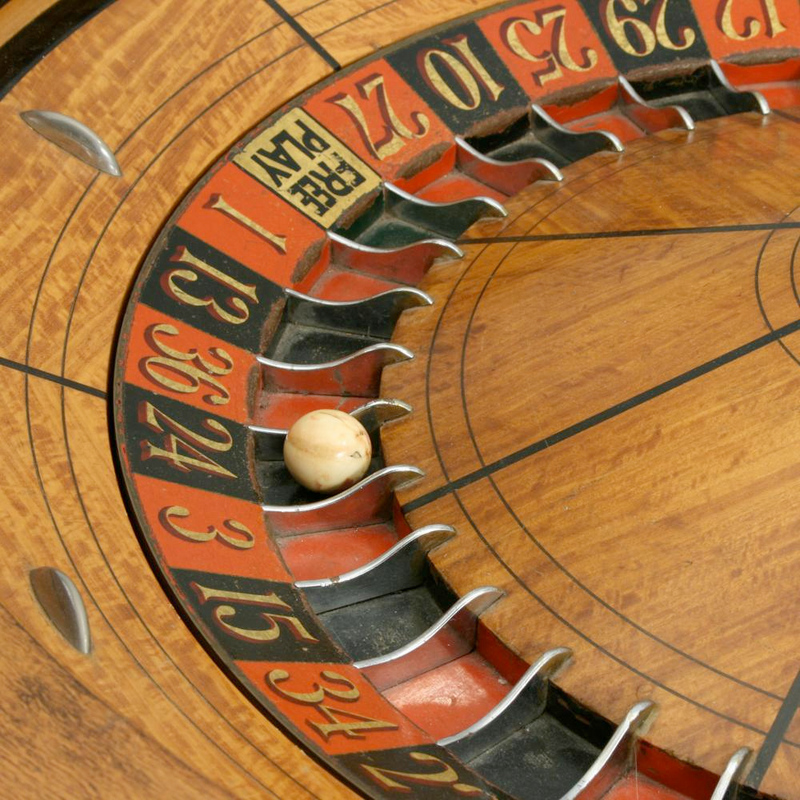 Working roulette wheel – for that in house casino you’ve always wanted to open. Just to make a little side cash from your neighbors. Because the house always wins. 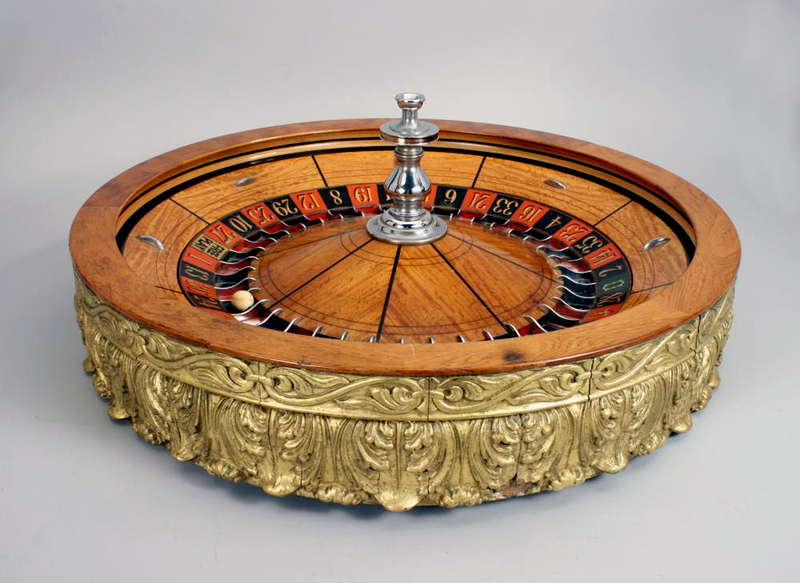 An unusually large American roulette wheel of exceptional quality and in excellent condition. The mechanism on this wheel is made to perfection providing an extremely smooth and prolonged spinning action. It is veneered and inlaid in Rosewood, ebony & satin wood and has a very ornate carved gilt wood surround. 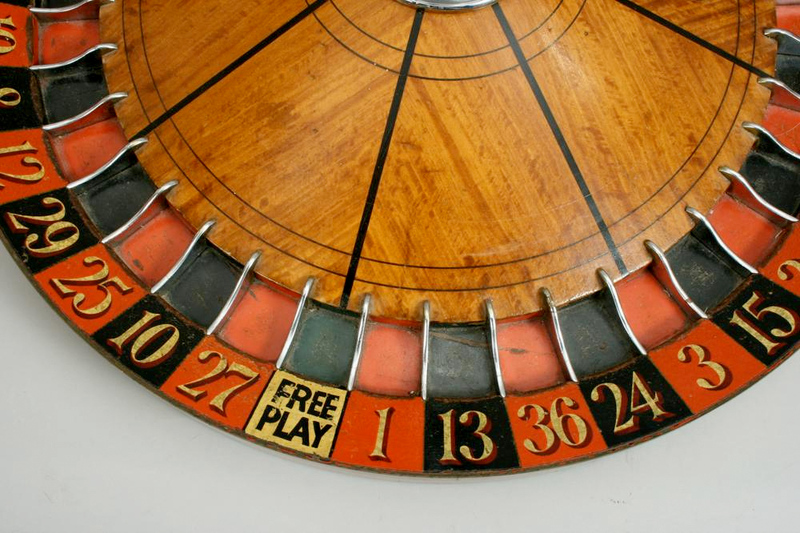 The wheel has red & black slots numbered from 1 to 36, a 0 plus a ‘free spin’ slot. The roulette wheel was manufactured by J. W. Sneed, Long Beach, California.